Our volunteers dedicate time to cooking and providing fresh meals for our families. All meals are scheduled in advance. If you have any questions or need help scheduling, contact Tamara Perry at 251-694-6873. 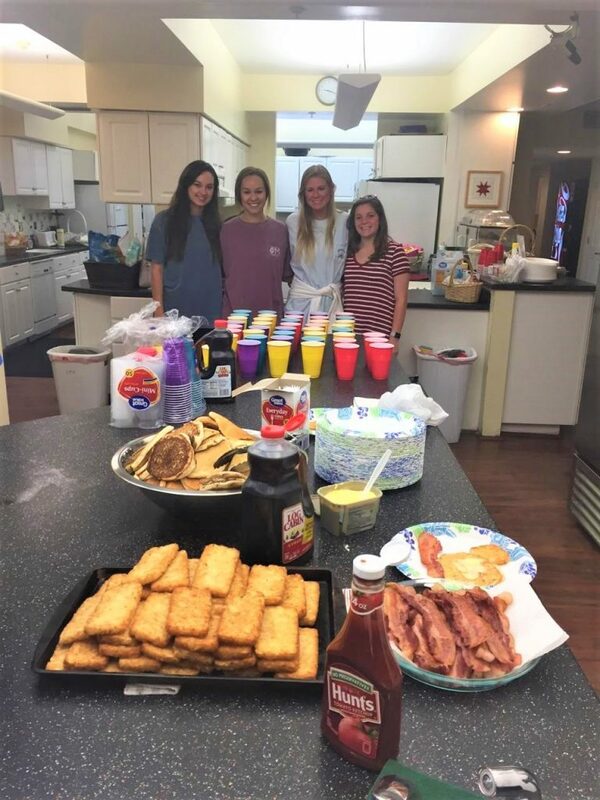 During their time of medical uncertainty, it’s so refreshing for families to be able to look forward to a home cooked meal at Ronald McDonald House at the end of a long day at the hospital. This is where we can use your help. 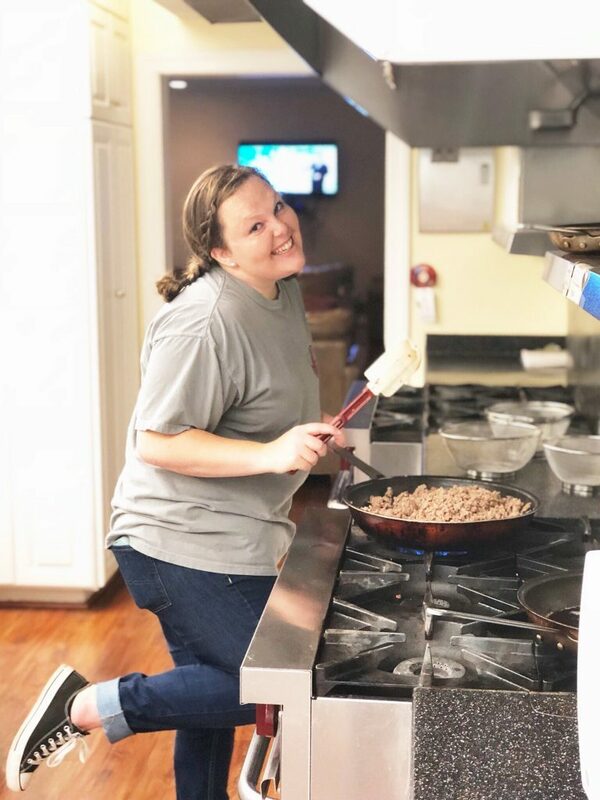 Providing a meal for the families that stay at the Ronald McDonald House takes away the worry and hassle of food preparation so the families can give all their energy and attention to their hospitalized child. We ask that you consider your business or group join us in our effort by helping provide meals for our families. This is a volunteer activity that is great for groups such as businesses, service organizations, corporate teams, high school clubs, college organizations, etc. You can view photos of groups and the meals they prepared on our Facebook page. A hot meal prepared at the House is greatly appreciated by our guests. Nothing makes the House feel more like home than the aroma of food cooking on the stove or a batch of chocolate chip cookies fresh out of the oven. We can accommodate up to 12 people cooking in the kitchen for this volunteer opportunity. Below you will find an outline of our Family Meal Program. Please know that we are very flexible and are open for suggestions to meet your schedule and budget. 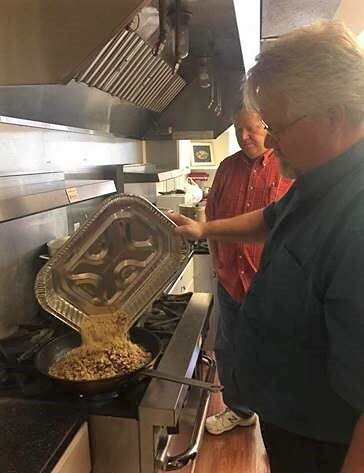 Ronald McDonald House has cooking facilities (stoves, ovens, microwaves & BBQ grills), pots, pans, utensils and serving pieces available for your use. Food must be prepared in our kitchen, or brought in from a caterer, restaurant or other commercial kitchen. Decorations such as balloons, centerpieces, festive tablecloths, etc. are always a big hit. You may bring paper plates, cups or plastic utensils as an option for easier cleanup. Please plan to bring enough food for 45 – 55 people. Beverages such as tea, lemonade, punch or soda are welcome. (No alcoholic beverages). We invite you to prepare a hearty meal from your favorite recipe, but please keep in mind we have many new mothers staying with us who need to avoid spicy foods. With menu selection, we encourage your creativity, as we tend to have an abundance of spaghetti, lasagna, and tacos. Think about what meals you cook best, those special dishes, for which you receive compliments. Please notify the House of your main course selection when scheduling so we can post the menu and avoid duplicate meals that week. Meals may be scheduled 7 days a week. Supper is most often provided and served at 6:30 p.m., but lunch, brunch and breakfast can also be scheduled any day of the week. Please note that children must be supervised at all times.